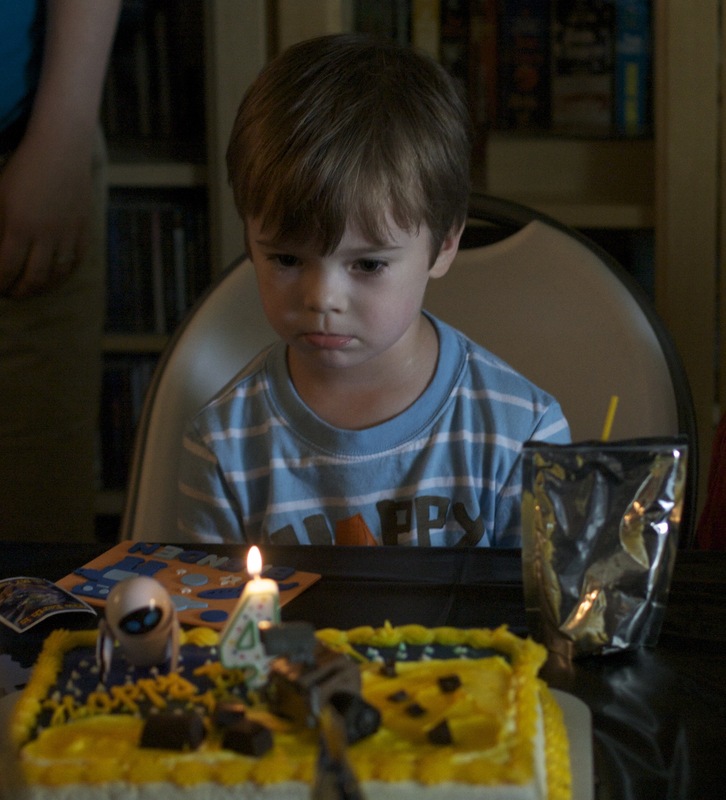 Brenden turned 4 at the end of last month. To celebrate on his actual birthday we took the kids to Chuck E Cheese for dinner and play time. Brenden had been wanting to go there for some time and he thoroughly enjoyed his first visit. There was even a little area that Emily could play in too. We stayed out past their bedtime and since Brenden ran for 2 hours straight, we had two very tired kids. 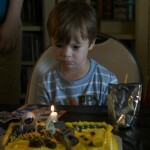 The next day was his outerspace themed party. He had been telling me all year he wanted a WallE cake from Target so that’s what he got. He had fun having all his friends over to play. He was excited about his presents and wanted them out of the packages right away. 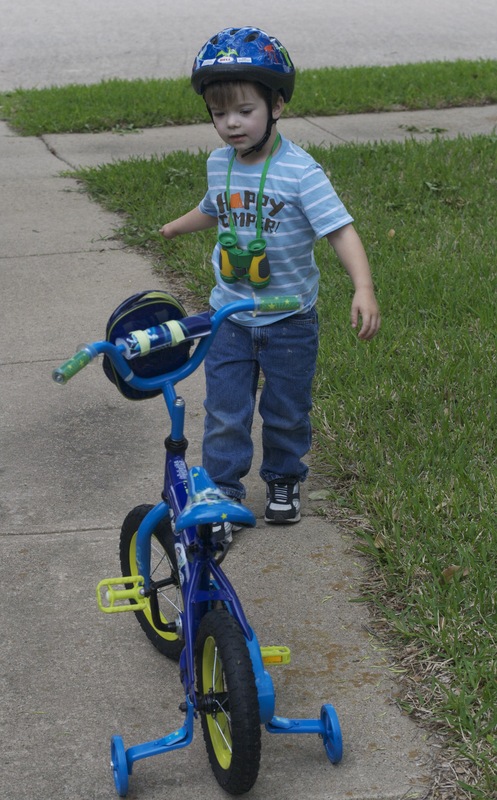 We also had to take his new bike out for a test walk right after his friends had gone. Oh, what’s that? You noticed I said walk? He got happily on right away with his helmet looking all set to go. But when he tried to peddle it was a little confusing for him. 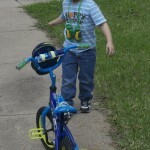 He was given a trike that didn’t have peddles when he was little and we never got him anything with them on it until this bike. So he’s still got to learn how to do that. After trying for a few minutes, he decided it would just be better to push the bike for now. It’s currently still in the house and he gets on it every day. At his checkup he passed his hearing and vision tests and seems to be doing fine. He was very unhappy about getting 4 shots in the legs. He cried so hard he scared Emily who then started crying too. He’s growing more and more independent by the day, wanting to try to do more things by himself. And he is very much the talker.